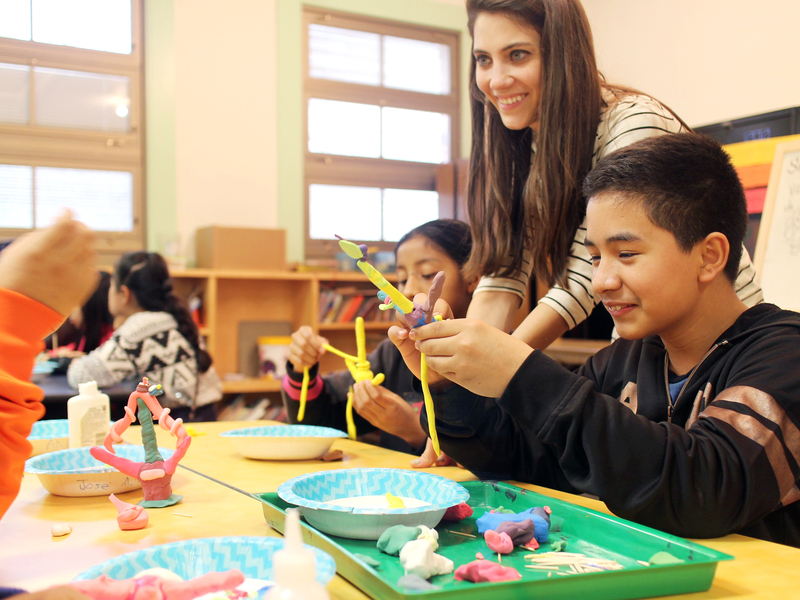 Latino Teaching Artist Alejandra Perez with her students. 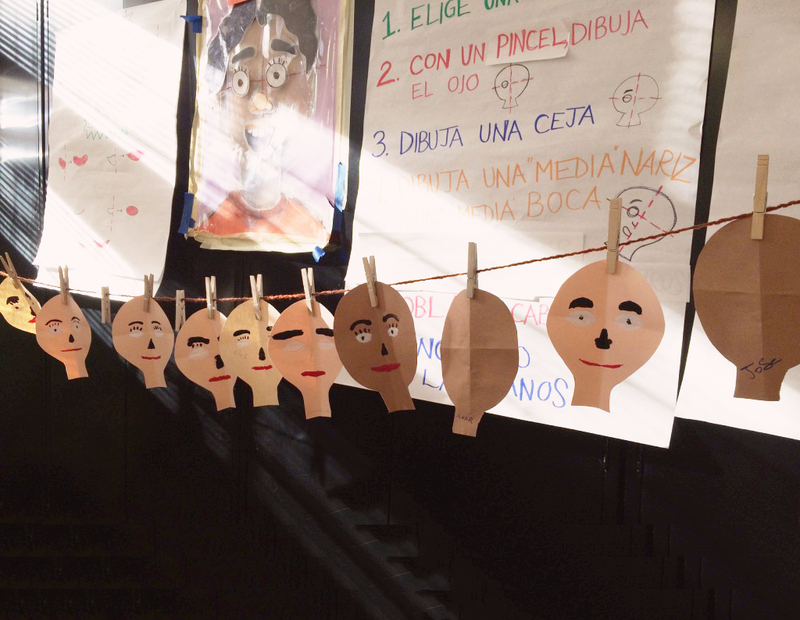 Latino Teaching Artists Fellows Alejandra Perez and Blanca Rodriguez classroom projects. 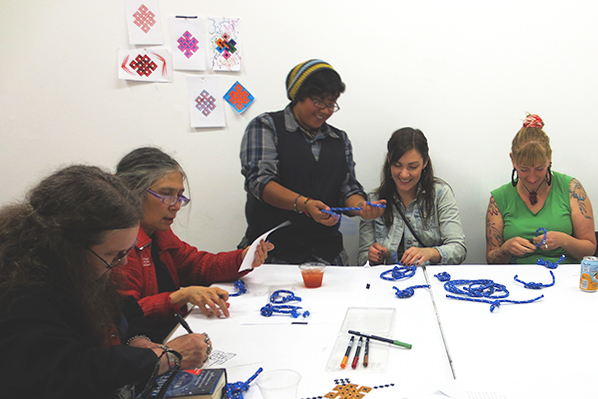 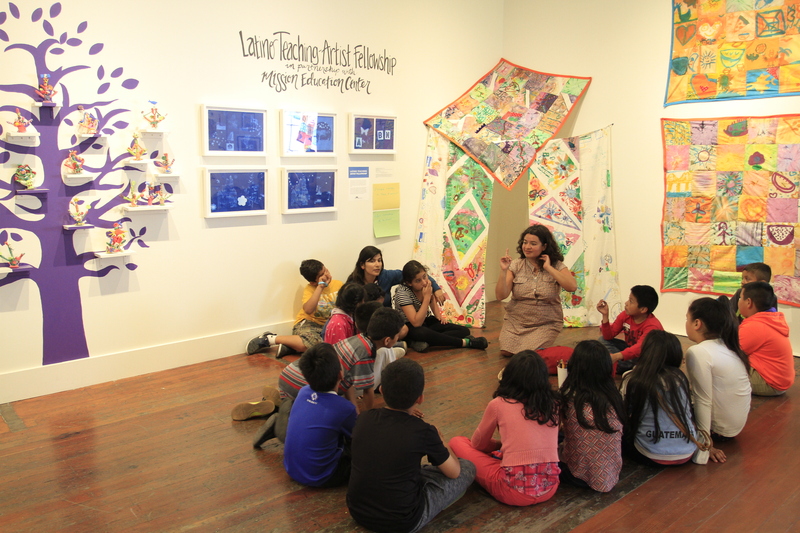 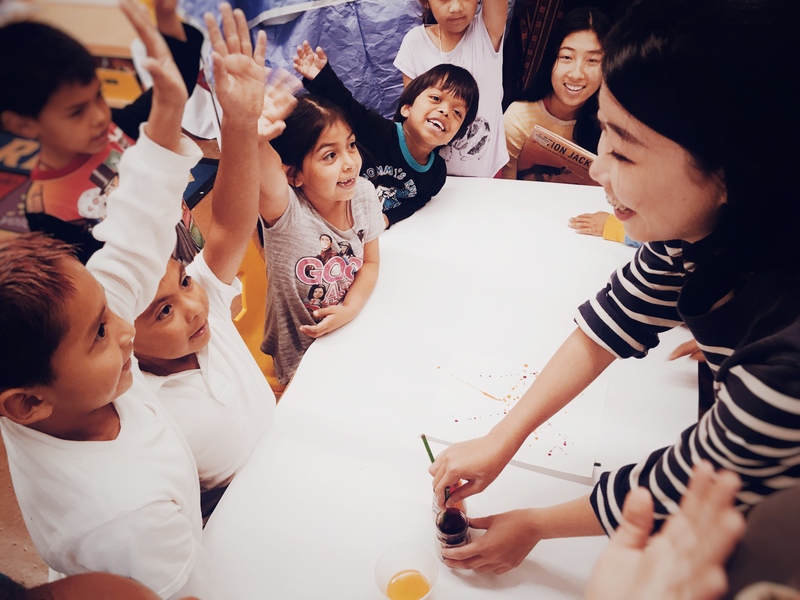 Studio Artist, Susa Cortez leading a Creative Station activity. 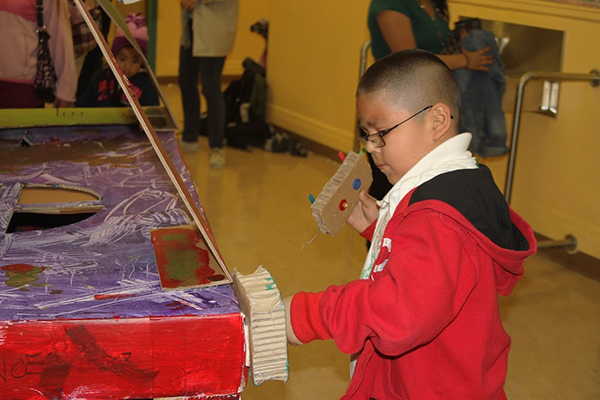 Student working on diorama project at Mission Education Center. 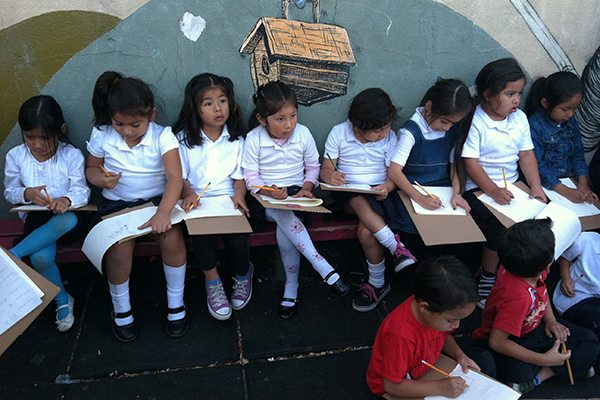 Students working on a collaborative drawing at Cesar Chavez Elementary. 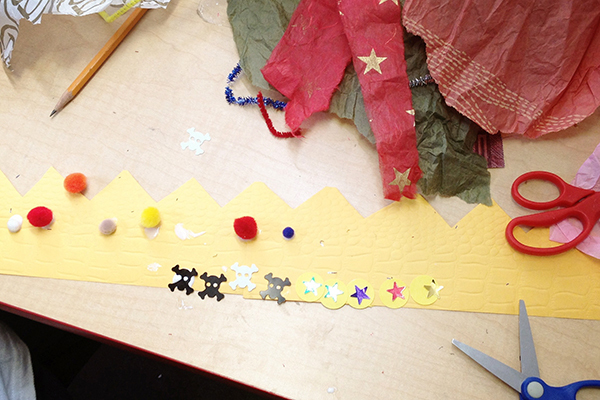 Art materials for a class project. 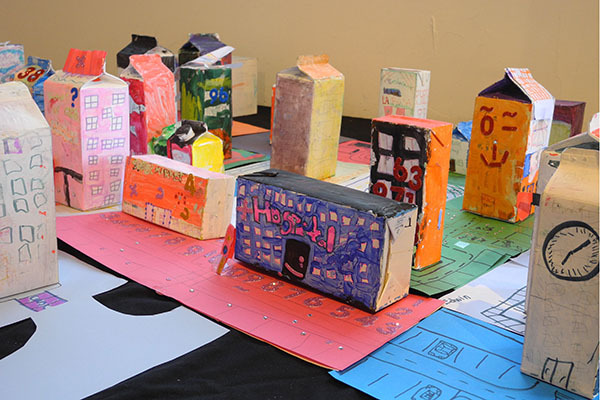 Diorama projects from Cesar Chavez Elementary. 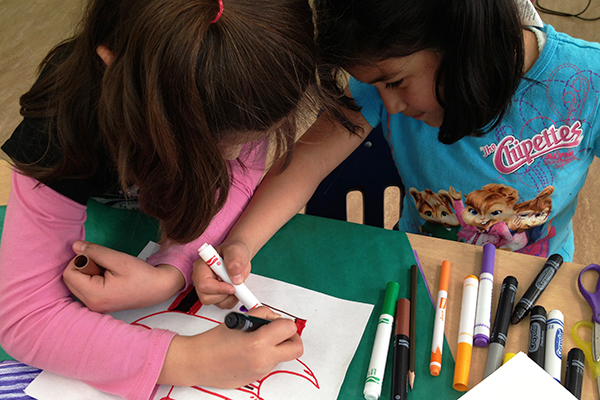 Kindergartners participate in an outdoor drawing activity at Cesar Chavez Elementary. 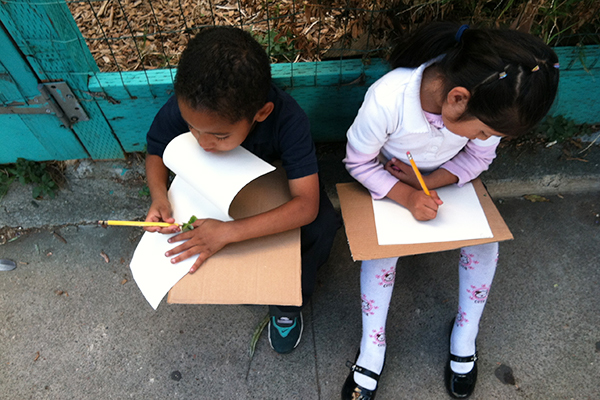 Kindergartners at Cesar Chavez Elementary pair off for an outdoor drawing activity. 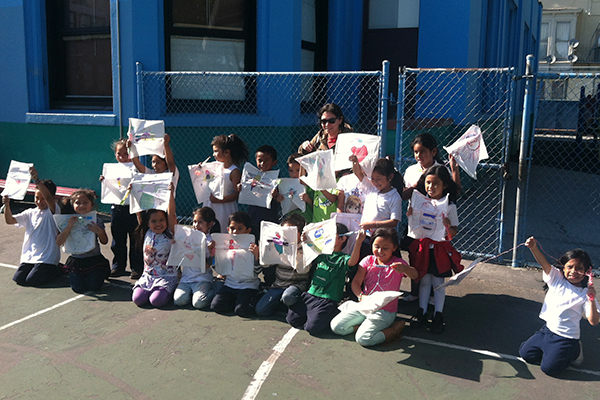 Kindergartners pose for a class photo with kites they created for their last day of class. 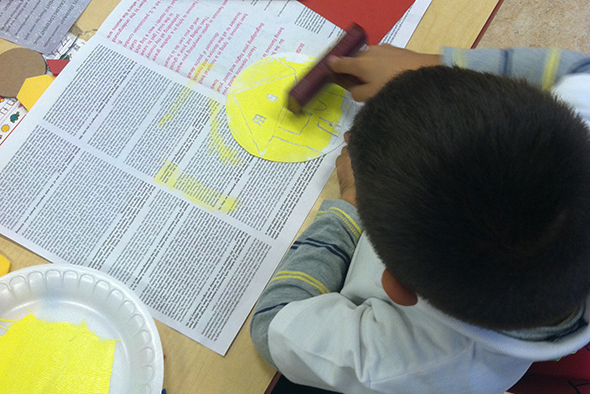 A Mission Education Center student works on finishing touches for his project on home. 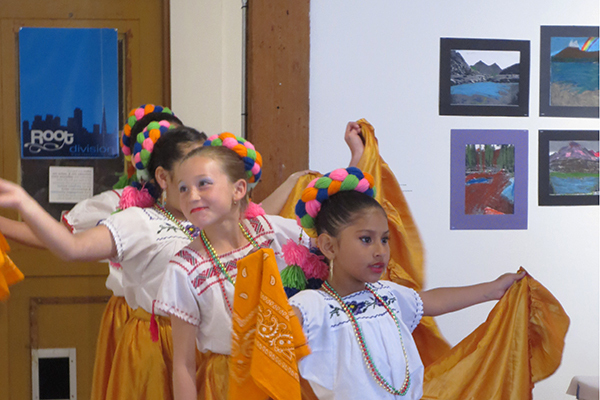 Dancers from Cuicacalli Escuela De Danza and past Root Division youth education students perform at New Growth. 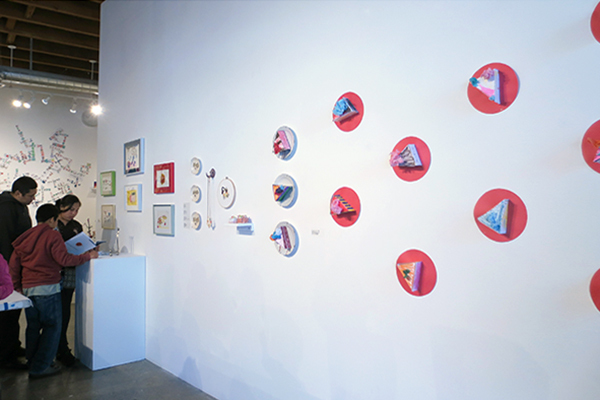 One display of art from our annual New Growth Exhibition. 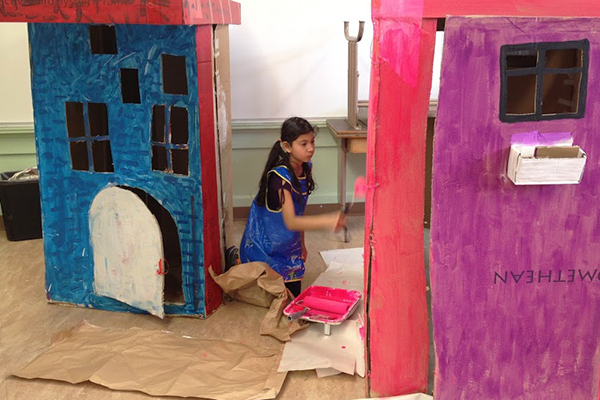 A student paints another layer on to her piece for the My Two Homes project at Mission Education Center. 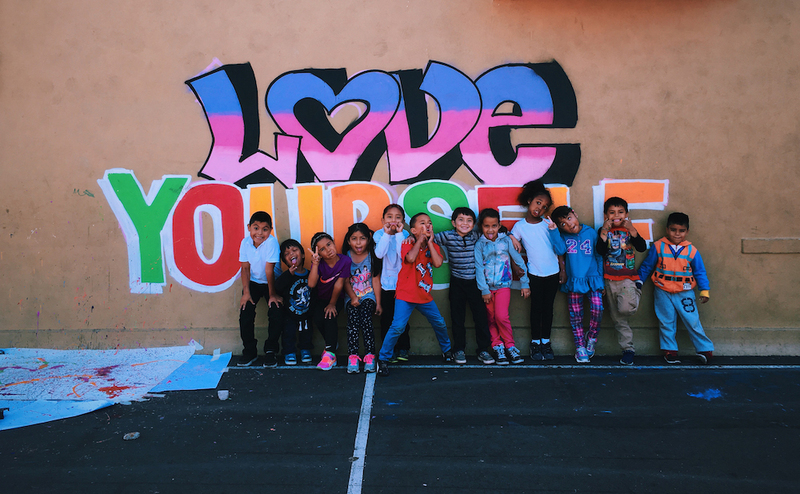 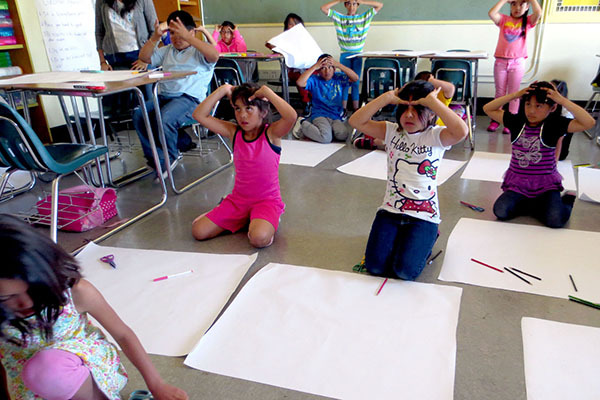 3rd Graders from Cesar Chavez Elementary prepare for making a wearable art project. 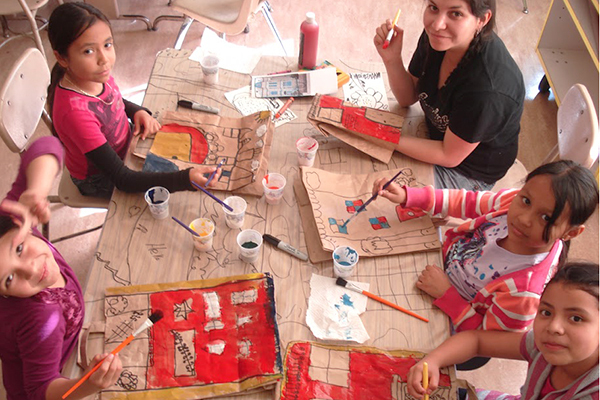 Instructor Ana Bedolla and students at Mission Education Center hard at work. 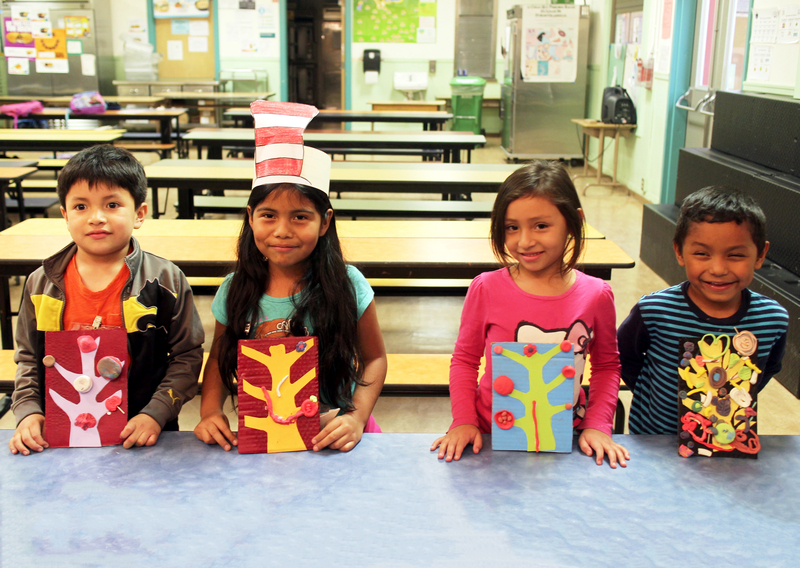 Students pose for a photo with their finished projects. 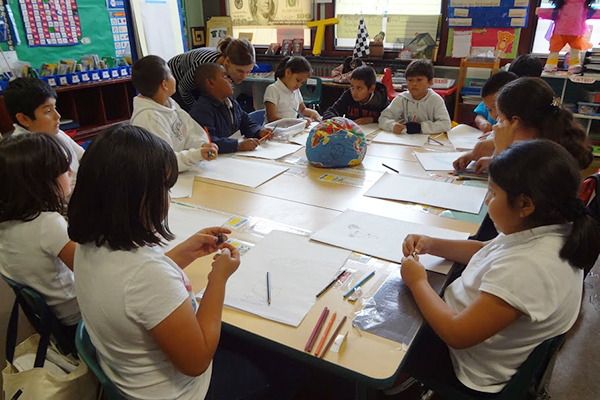 Cesar Chavez Elementary 4th grader's study the globe with their instructor in preparation for a drawing lesson. 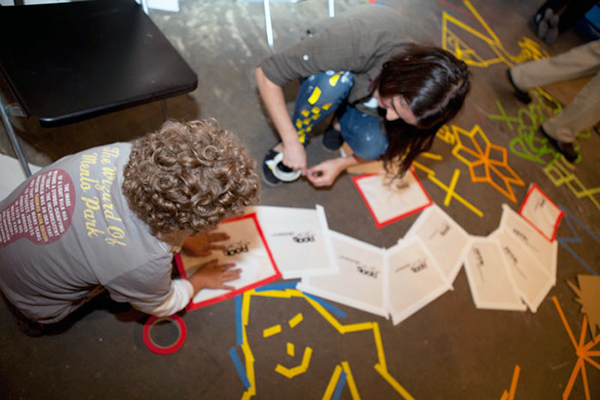 A Buena Vista Child Care student working on a floor drawing. 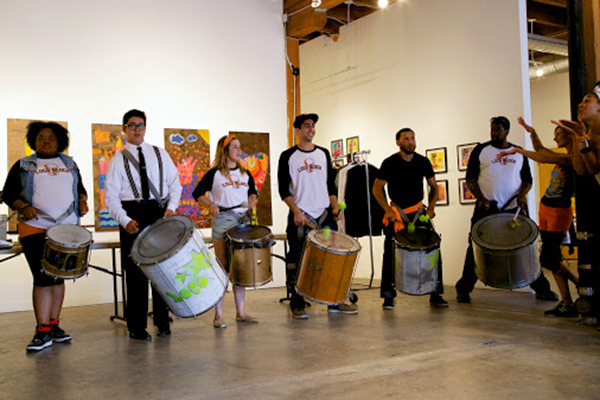 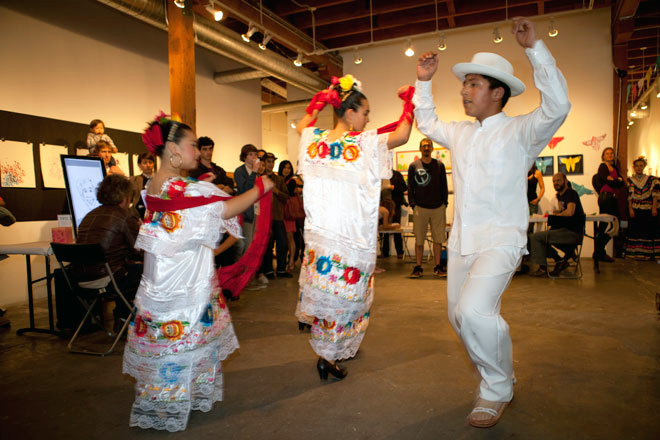 Dancers from Cuicacalli Escuela de Danza performing at Root Division for the annual New Growth Exhibition. 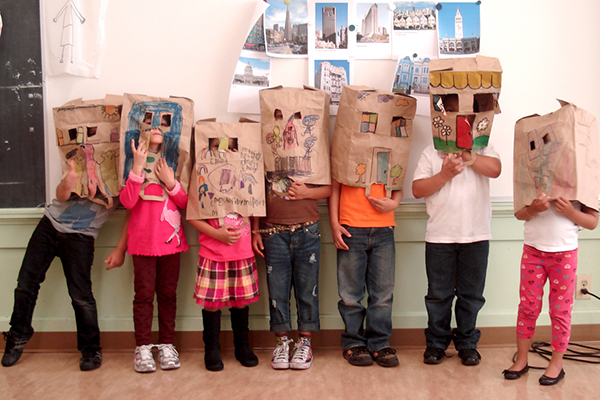 Visitors at our annual New Growth exhibition. 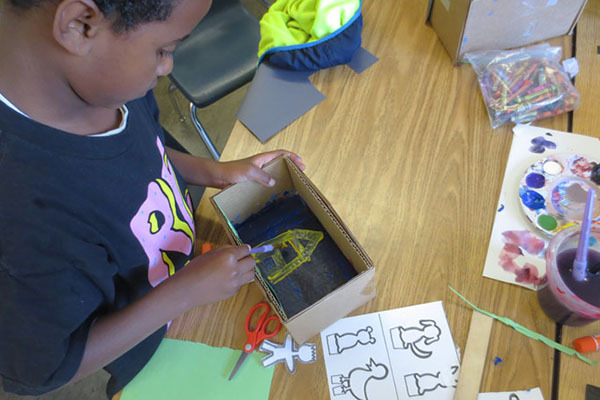 A 1st grader at Cesar Chavez Elementary learning how to relief print.